Whether you're in town for an epic University of Oregon Ducks game or for TrackTown USA, our Springfield hotel offers a great location and value. Sacred Heart Medical Center is close to our Springfield hotel, so guests in town for an appointment or visiting patients can easily go to and from the center. Comfort is king here, which is why we offer oversized rooms with balconies so guests can take in the luscious Oregon pines surrounding the town. There's a microwave and refrigerator in every room, perfect for extended stays, and complimentary wireless and hard wired Internet. Our seasonal outdoor pool is the perfect place to relax on those warm summer days. Whether you're visiting the University of Oregon or nearby Cabela'sÂ®, our Springfield hotel is the perfect place to stay. From the Eugene Marathon to the annual Country Fair, there's always something exciting happening. 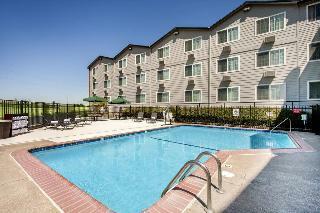 Many guests at our Springfield hotel are in town for a University of Oregon Ducks football or the local track meets. Unique and innovative dining is famous in this area, and guests can take advantage of an abundance of options. It's a college town, which means boutiques and nightlife are both popular. Whether a day of shopping, Gastro-touring or exploring the local great outdoors sounds appealing, it's all just minutes away. Our Springfield hotel also hosts business travelers in town with the Union Pacific Railroad, Sacred Heart Medical Center and other local companies and businesses. Whether you're here for business, football or other leisure activities, count on us to provide you with a quiet, well-appointed room in a great location. We understand that you deserve plenty of space and a great value when traveling to Springfield. 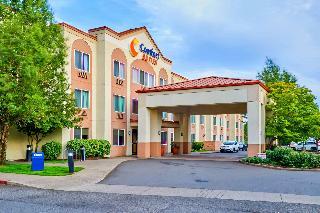 Book your upcoming stay at the Best Western Grand Manor Inn, the choice for the University of Oregon Ducks fans! Enjoy your stay. Offering a perfect base for adventure and discovery, this hotel enjoys a prime setting in Springfield. A short distance away from the Hult Centre of the Performing Arts and the University of Oregon, guests will find themselves at the centre of activity, yet a world away. Adventure enthusiasts will enjoy the McKenzie River National Recreation Area, where a host of boating, picnicking and hiking opportunities can be enjoyed. The elegantly appointed guest rooms come complete with modern furnishings for visitors' comfort and convenience. An ideal haven for business and leisure travellers alike, guests at this hotel are sure to enjoy a relaxing stay here. This delightful hotel enjoys a great location in Springfield. The perfect option for business and leisure travellers visiting the area, the hotel is situated within easy access of a number of significant attractions. The hotel is located in close proximity to the Gateway shopping centre, Sacred Heart Medical Centre, the University of Oregan, Valley River Centre and PK Park. This charming hotel greets guests with a delightful architectural style, welcoming them into the warm, homely environment of the interior. The guest rooms are tastefully appointed, and come complete with modern amenities. The hotel offers a range of excellent facilities, catering to the needs of every type of traveller. This charming hotel is set in Springfield. Guests will not be bothered during their stay, as this is not a pet-friendly property.